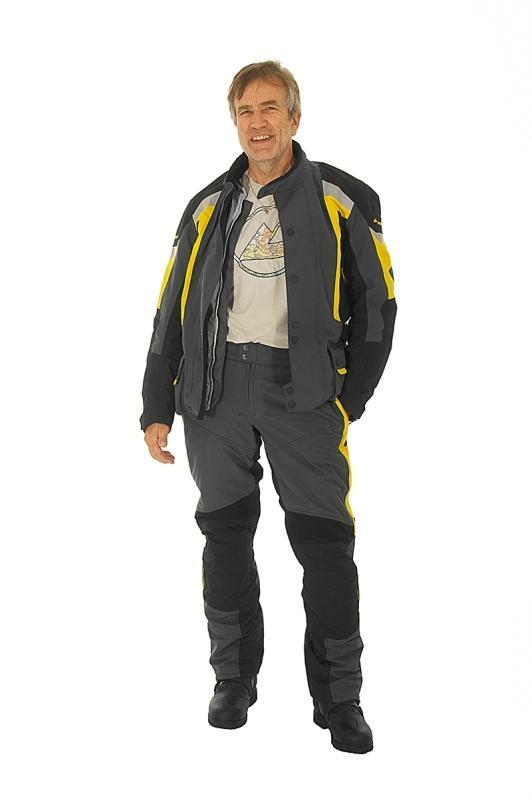 This men’s riding Jacket takes a different approach than others on the market. 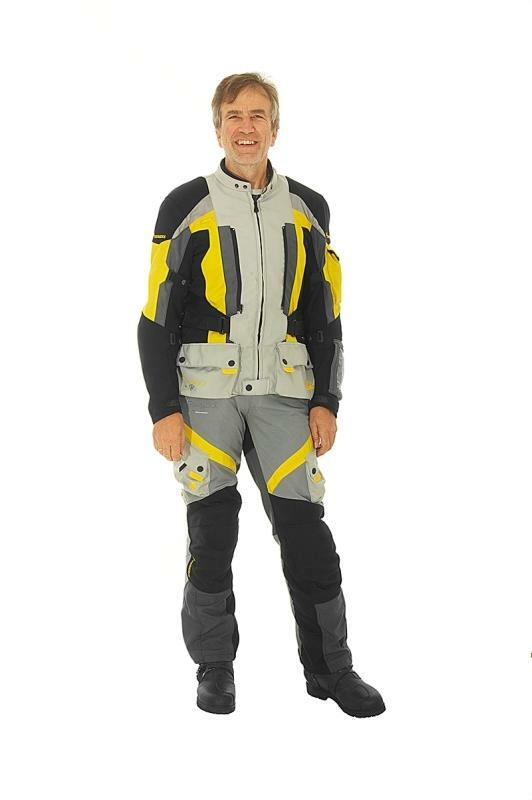 It was created by Touratech Founder, Herbert Schwarz, who wasn’t entirely happy with the suits he was using on his motorcycle travels. Herbert set out to make the product of his dreams. 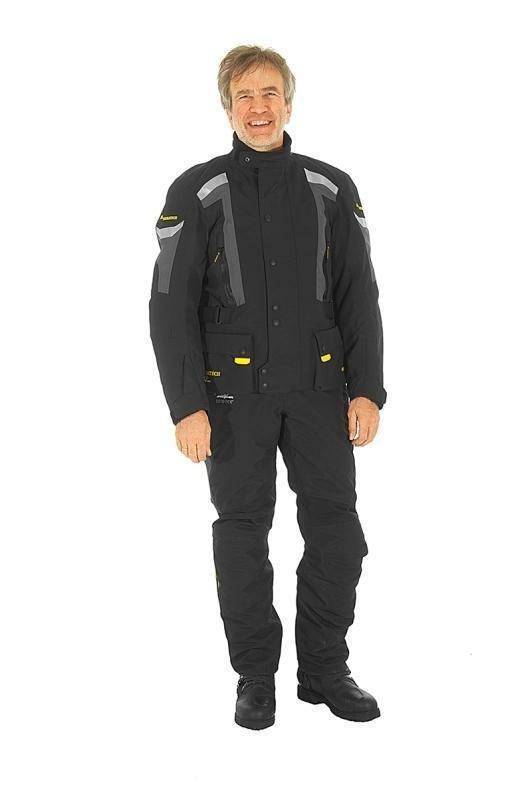 The result is the Companero World2, a mesh summer jacket with full CE level 2 armor that comes with an integrated Gore-Tex Pro Shell rain jacket that zips into place over the mesh summer jacket to keep you dry in any conditions. 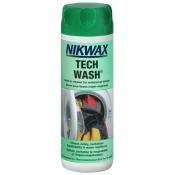 The jacket is airy and comfortable in hot climates, yet will keep you warm and dry in the heaviest of downpours. 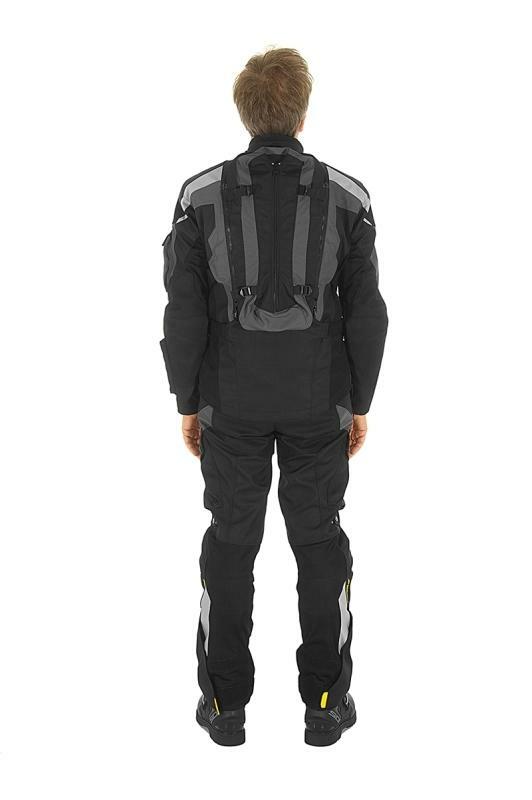 Built with the motorcycle traveler in mind, the outer rain jacket can be worn casually off the bike. Click HERE to see the matching pants. 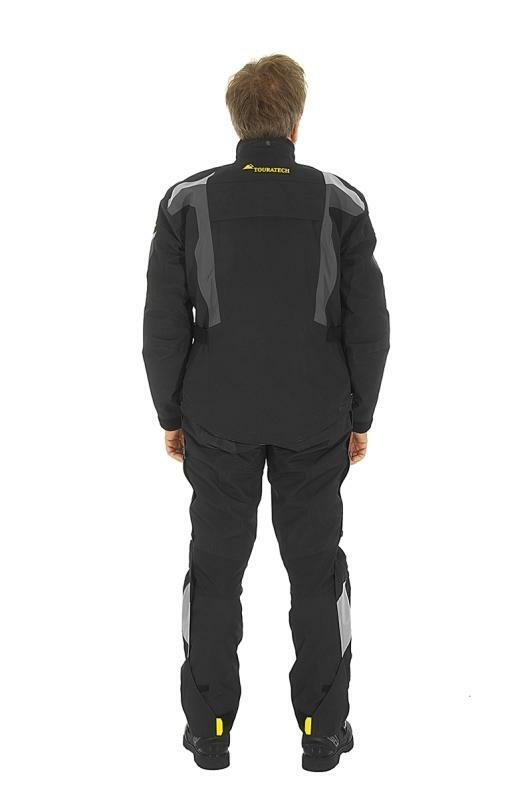 Air-Flow Engineered - Built for comfort in the desert heat of the Southwest or the humid summer heat of the East Coast, this jacket maximizes air-flow by utilizing large panels of Cordura Air fabric. 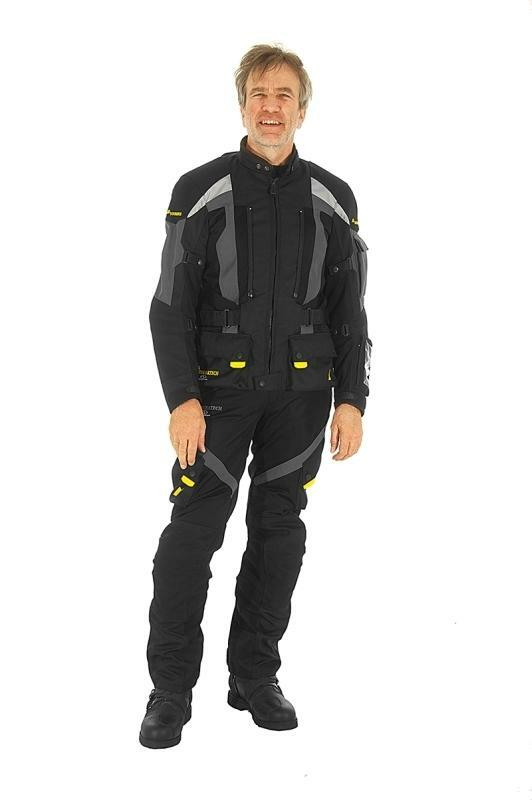 Cordura Air is light-weight and delivers a high volume of air-flow through the suit to keep you cool while riding. Armored Protection - Heavy-duty armor is built into the summer jacket providing you with maximum protection while enjoying the air-flow. 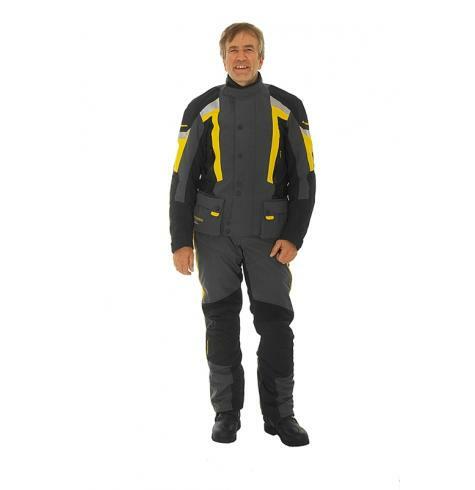 The large protectors in this jacket meet CE level 2 standards which are the highest level in the industry. 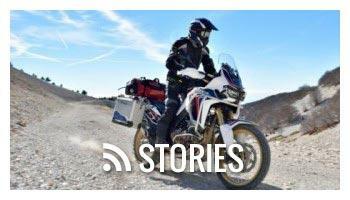 Top level protection is an ideal choice for adventure riding and distance touring. 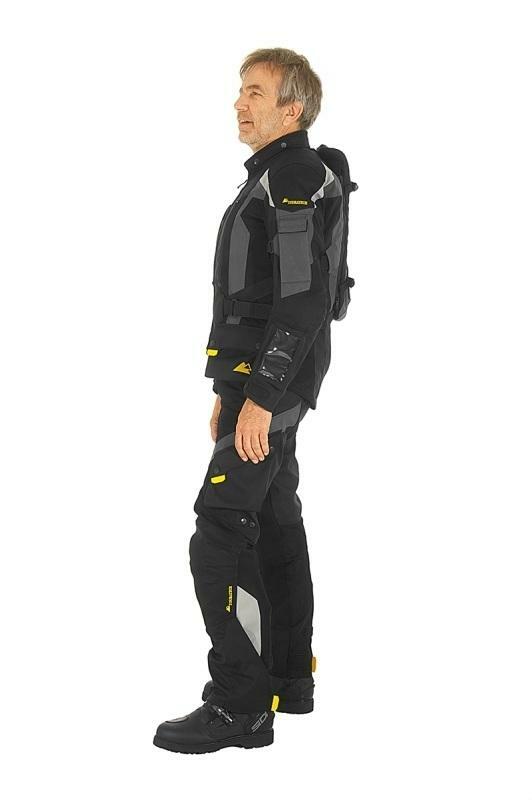 The suit is constructed from durable Cordura 500 base material with heavy-duty Cordura 2000 in the elbow and shoulder areas. Jacket Pocket Storage – If you like pockets, you’ve hit the jackpot with this set-up. The inner jacket has 2 pockets with flap closures secured with buttons and a zippered stash pocket located on the inside. The outer jacket features 2 hand pockets with flap closures secured by buttons and 2 stash pockets inside the rain shell with secure zipper closures. 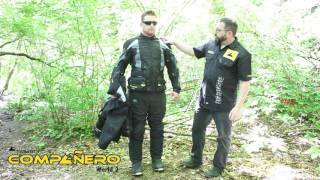 In summary - you have 3 pockets in the summer suit and a total of 7 pockets when using the rain shell. Stay Dry – The Companero World2 features an integrated rain suit made of Gore-Tex Pro Shell which is the industry leading 3-layer laminate. This Pro Shell fabric breathes while keeping the rain and water out. 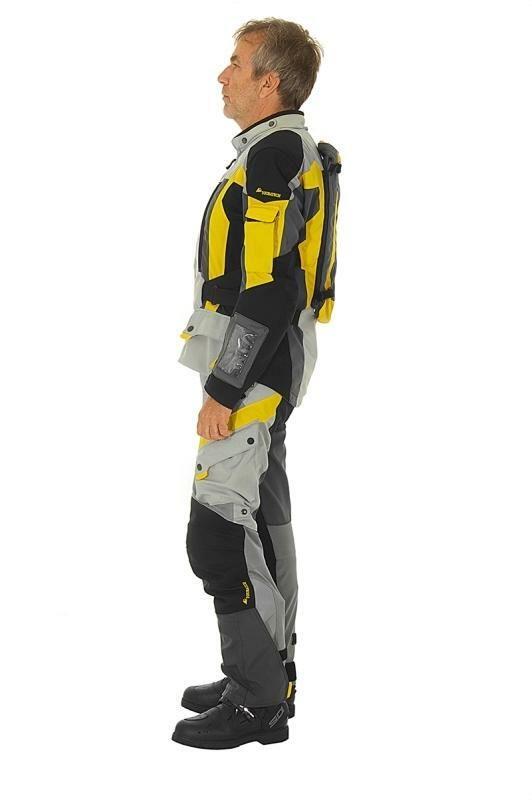 While some liner systems go inside the mesh suit, Touratech designed this one to go on the outside where it belongs. Other jackets with liners that go inside tend to soak up water, become heavy and draw heat from your body which can compromise your ride. Two air vents on the chest area allow airflow to help keep you cool and utilize YKK Aqua Seal zippers which make a completely waterproof barrier when closed. 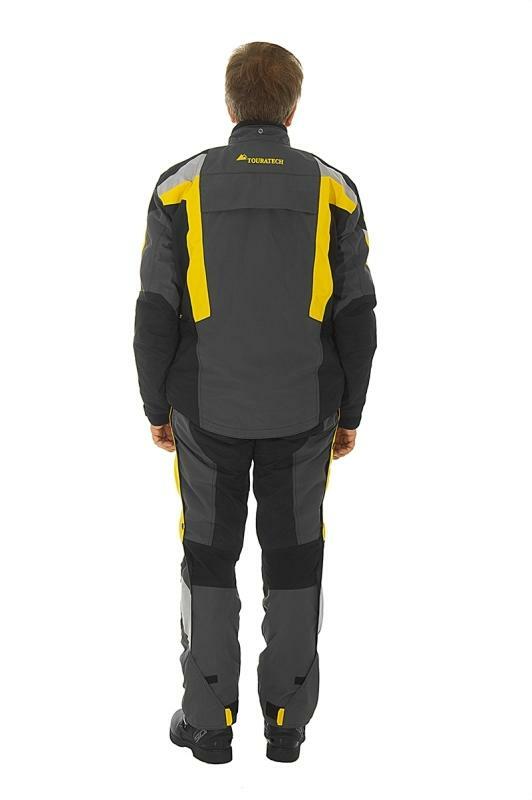 An exhaust vent can be zipped open on the back shoulder area of the jacket and is protected by a storm flap. 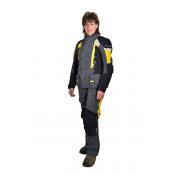 Protection Connection – The jacket has a zipper system that connects to the Companero World2 pant keeping the jacket from riding up and the pant from sagging down. Having a solid connection keeps air from drafting up and creates a single unit for increased coverage and protection. 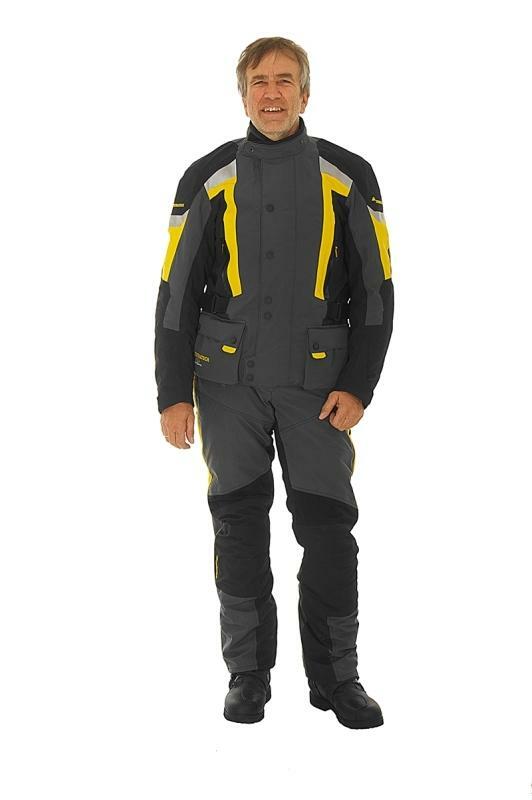 All things being equal, a jacket that zips to the pants provides more safety than one that doesn’t. Some racetracks require this feature because of the known safety improvement. The connection also works like a pair of suspenders when walking around. 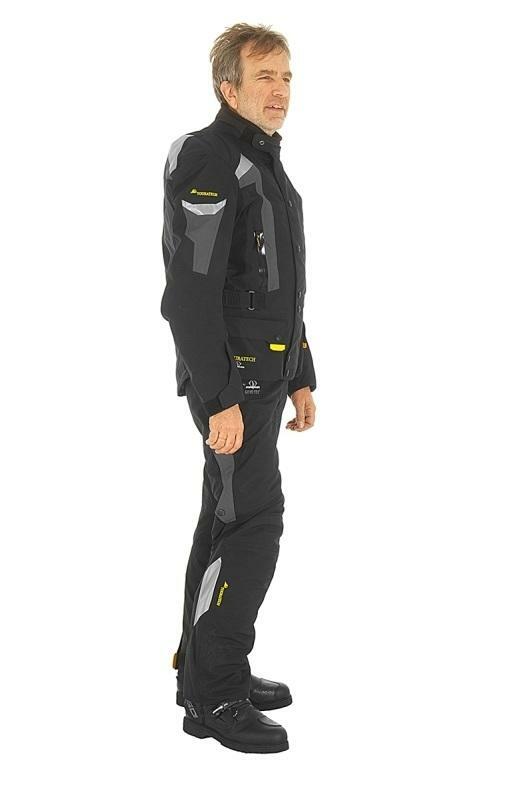 As you evaluate riding gear options, make sure to look for the zipper that connects the jacket to the pants. Connection is protection. Click HERE to see the matching pants. Integrated Backpack – The mesh summer jacket features an integrated backpack which can host a hydration system or carry the rain jacket when not in use. The backpack also features shoulder straps that can be used for hiking or exploring off of the bike. 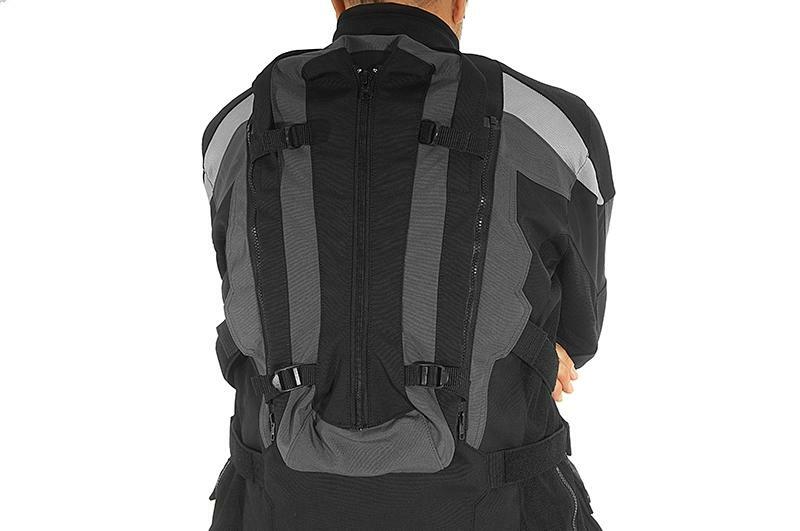 The backpack secures to the mesh jacket with two zippers making it quick to remove, and also features an expansion zipper to adjust for load size. Be Visible – The Companero World 2 Jacket features reflective panels for increased visibility in low light. The suit also features woven reflective thread to maximize visibility. 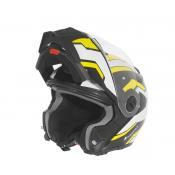 Available in two colors (Black & Yellow), some riders choose the yellow version for daytime visibility. You can ride wherever you adventure leads with the comfort and protection of the Companero World 2. 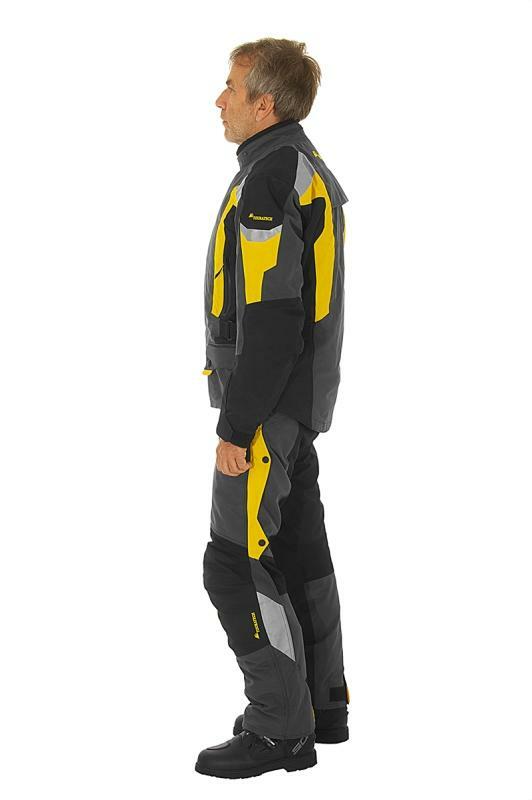 The sizing of the Companero World2 suit is very specific, ensuring the best fit possible. Please consult the sizing chart to confirm the right size for you. 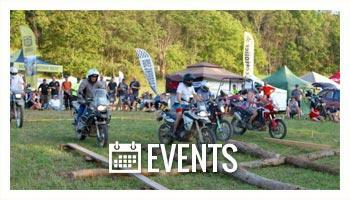 Feel free to contact any of the Adventure Experts at Touratech USA if you have any questions. We want you to be happy with your new suit. All Companero suits will be shipped along with a prepaid return label. 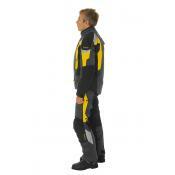 This allows you to return or exchange the suit for another size at no cost. 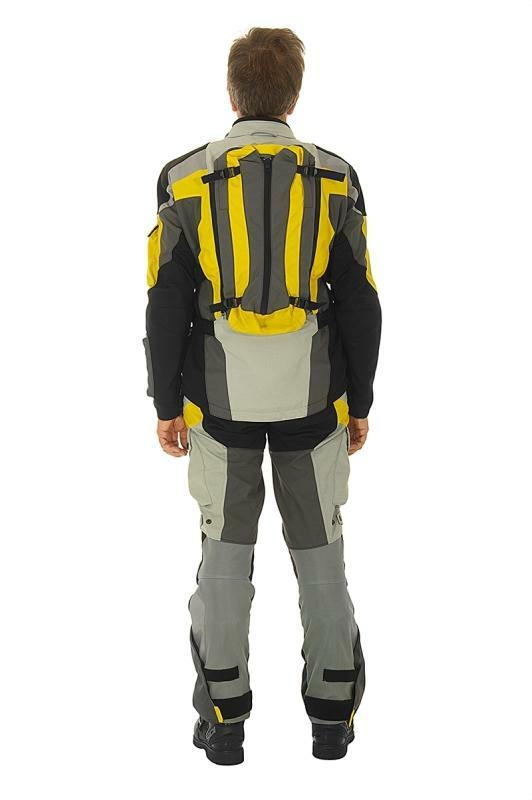 Integrated backpack can also be used without jacket and hydration bladder. 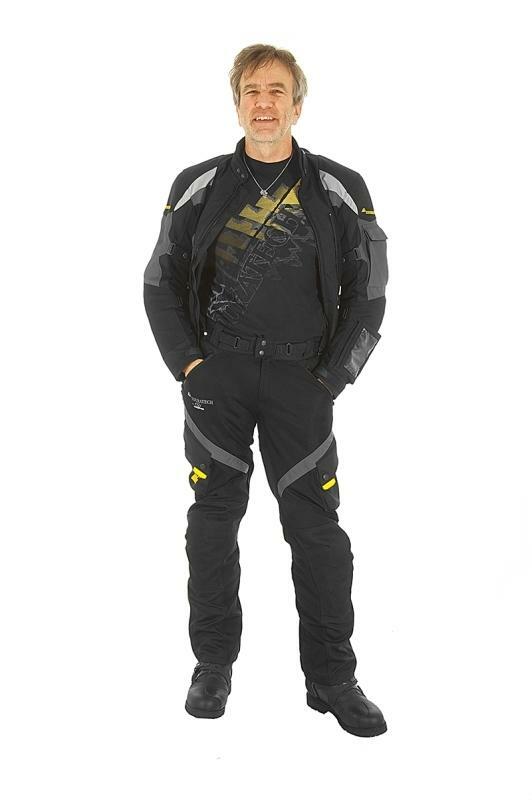 Jacket zips to pants for improved safety and convenience.